Google is the top search engine. If you need instant access to page 1 in Google for keywords that your website is currently not reaching, Google Ads(formerly Google Adwords) is your instant solution that is known as "Pay-Per-Click" PPC. It's where you can pay advertising dollars to get found exactly in Google search for the keywords you want to be found by and in the geographic locations you want to get found in! We currently have 3 different packages: Gold, Silver and Bronze that have 3, 6 and 12 month contracts. Contact us so that we may figure out together the best package in line with your budget and business marketing goals. • Ads management, usually done every monthly after initial creation. • Ads optimization and reporting (PHONE CALLS and all EMAILS tracked as conversions.) If an Ad on Facebook or Google Search brought you a lead, we will know it! This is reporting a return on investment ROI for you to know how your marketing dollars are working for you. How great is that?! Creation, management, and reporting on Google Ads campaigns and ads to drive traffic to a selected set of websites or web pages. In 2019 we now offer remarketing ad campaigns that if a person visited your website once, will continue to see your ads on Youtube, various news and target market websites! • Goals, strategy, tactics, and evaluations will be formed given the website to be promoted. • A marketing plan will be created for a campaign or set of campaigns to direct the creation of ads. Weekly Monitoring and Optimization: Monitoring of keywords, budget, ad performance, ad extensions, and opportunities to improve ads will be done and acted on to improve the campaign as it runs. Note: An client "ad-spend/budget" will also be required to pay to run the ads on Google’s ad network and are separate from these labour service costs. Benefit upfront, we do not as an agency charge points on our client's ad-spend allocated budget like other agencies. We want as much of the client's marketing dollars to create business results! "The most important business listing on the Internet! Every business requires one." 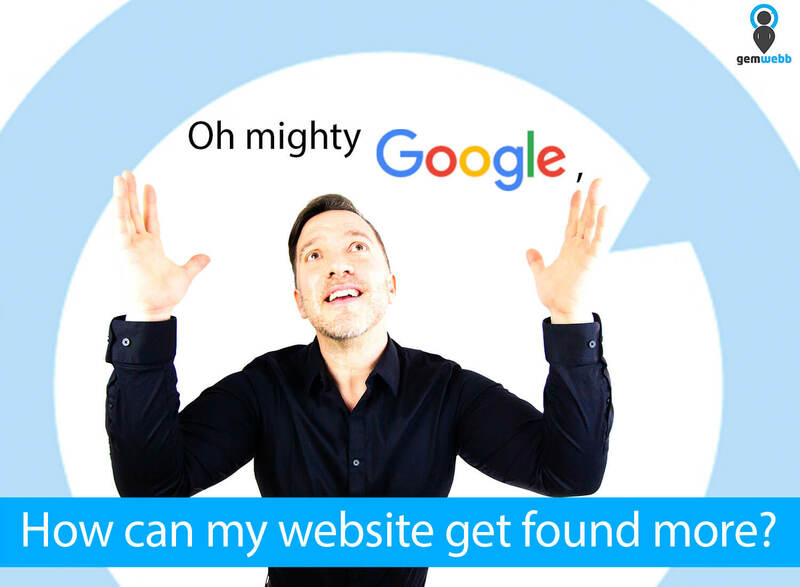 Help make sure your business listing appears when people are searching for you on Google Search and Google Maps. 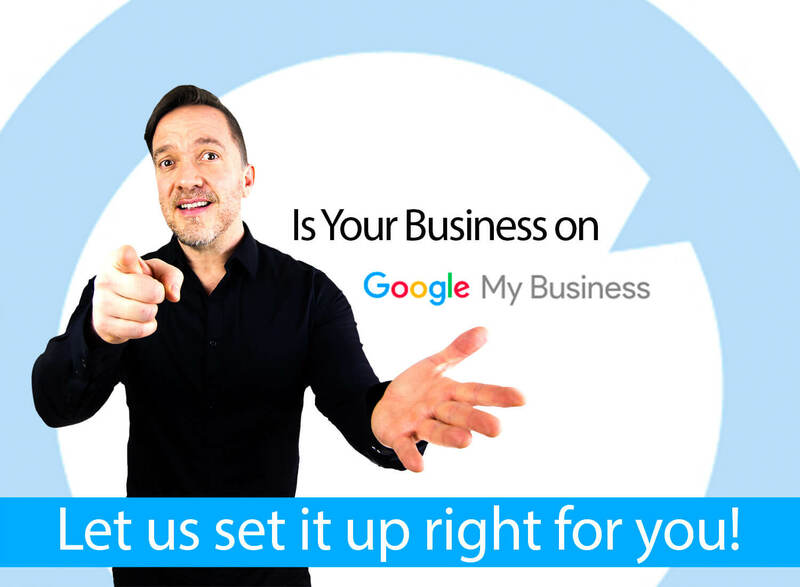 We will set your Google Business listing up with a CLICK TO CALL, WEBSITE link and lots of information to help your target markets know about your business like when your open, book meeting links and what areas you serve. We can have your listing up within 30 to 45 days approx. and show you the website leads and phone calls it generates with clear reporting. Rate: $350 from setup to release on Google! Every website should have Google Analytics and Google Search Consol setup correctly. Then a monthly report should be set up for the whole year showing you if your Internet marketing is effective and lots of other stats like social media visits, what are your top pages, if people are leaving too quickly, and so much more. Rate: $250 setup with a detailed How to Read Your Reports Overview Video! What to expect from Google Ads marketing? We asked our Google Ads Pay Per Click Marketing Manager and this he said it would be best explained by comparing two examples. Can you tell me more about what I can expect to see? You will see potential customers contacting you based on ads which are shaped by your marketing goals. Typically ways of contact are through the phone or ways listed on your website. The number of people visiting your website will be higher than if no advertising was done. Approximate traffic numbers and ad spend vs. expected revenue etc. The numbers depends on factors like the market, industry, and the business. In this example, the business is paying for customer leads. Ad spend should correspond with estimates on how much leads are worth and how many you may want. Example business B wants to sell tickets to a specific event from their website. Potential customers will click on the ads to learn more about the event and a portion of those people will buy the tickets. The number of tickets sold will higher than if no advertising was done. Like the previous example, it depends on different things. In this example, the business is paying to increase ticket sales. Typically, ad spend is much less than the expected revenue from the sales. Do you guarantee your work in any way? The digital advertising work will guarantee people in the target audience will see the ads. When they click on the ads, it will increase traffic to your website using the budget provided. The advertising can be directed towards different goals (raising awareness, generating leads/quotations, buying items or services, getting into new markets). The ads and the website visits will promote your business to people and increase their awareness of it regardless of their action. And how do you define a successful campaign? Click through rate of search ads: 1.0% or higher. This rate says out of how many ads that are displayed does someone click on an ad; you only pay if someone clicks on the ad. The rate is to measure the quality of the campaign like relevance to the target audience and construction of the ads.